In Thai cuisine curry paste is an essential ingredient to prepare many dishes but of course the main dishes being curries. 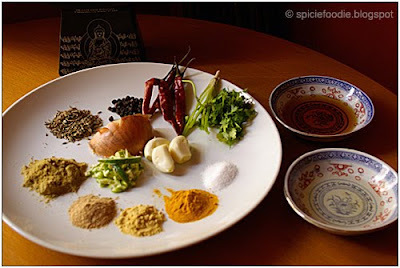 There are several paste, red, yellow, green, Panaeng and the more Indian influenced Massaman curry paste. I’ve made them all except the Panaeng, which I will try and then post. The first Thai curry paste recipe I have is for red curry paste. This recipe is from my cookbook called , “The Complete Asian Cookbook” by Charmaine Solomon . 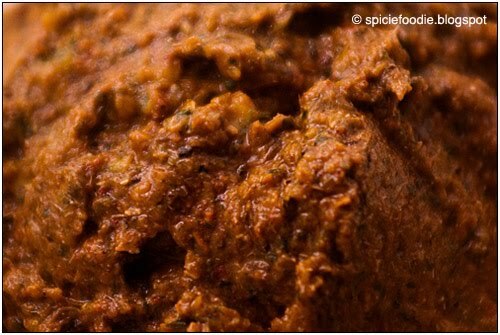 Home made red Thai curry paste is very easy and fast to make, you may get addicted to making your own and not buy prepackaged again. There is nothing wrong with the couple of prepackaged ones I’ve bought, but I like making my own to control the spiciness and make sure all the necessary ingredients are included and none left out. Of course there’s the preservatives used, yuck, which I try to avoid as often as possible. One of the ingredients is shrimp paste, I have to leave this out because I have not been able to find here. So to still give the curry paste a seafood taste I add the fish sauce. Shrimp paste also adds a redness to the paste so that’s why I add the paprika, merely for color aesthetics and does not affect the taste. If you are a vegetarian you can omit both or either of the shrimp paste and fish sauce. The recipe below can be doubled or tripled, and you can adjust the heat as you like. 2. In a blender add all the ingredients including the ground spices, and oil. Blend to a thick paste, if it’s too dry you can add a little water or more oil. Viola! , red curry paste ready to go and cook any delicious Thai dish. The paste will keep fresh in the refrigerator for a couple of weeks or longer, in the freezer up to 2 months,that’s if you don’t use it up before 2 months:) By the way it does freeze well, I scoop 2- 3 big spoonfuls into small plastic bags and divide into portions that way you only need to defrost what you need for a meal. 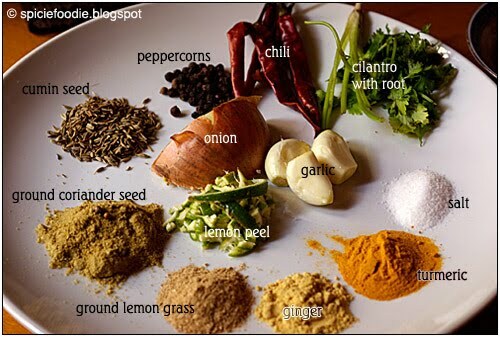 Simply loved, loved, loved the photo of the named spices. Excellent! Your site is so beautiful! Yes, I add paprika as well. 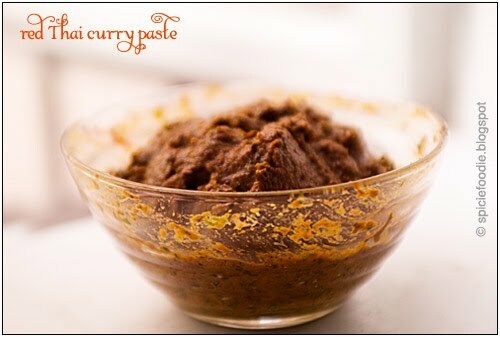 And all of you I will share a really good and unique recipe for curry using this paste in the coming days. Oh this is definitely doable! I love this! Thanks for providing the link here. Would it be okay to use sesame oil instead of vegetable? Or will that alter the taste unfavorably. Hi! I have never tried it myself, but I think it’s worth a try. Enjoy!